Design work is expected to start soon on a new railway station for Conon Bridge in Ross-shire. Highlands and Islands Transport Partnership (Hitrans) and Network Rail have signed a deal on the project. Hitrans, which will provide £100,000 towards the work, said it should mean the new platform could open soon on the Far North Line. A station had served Conon Bridge from 1862 until 1960 when it closed to passenger services. Goods services were withdrawn from the station in 1965. 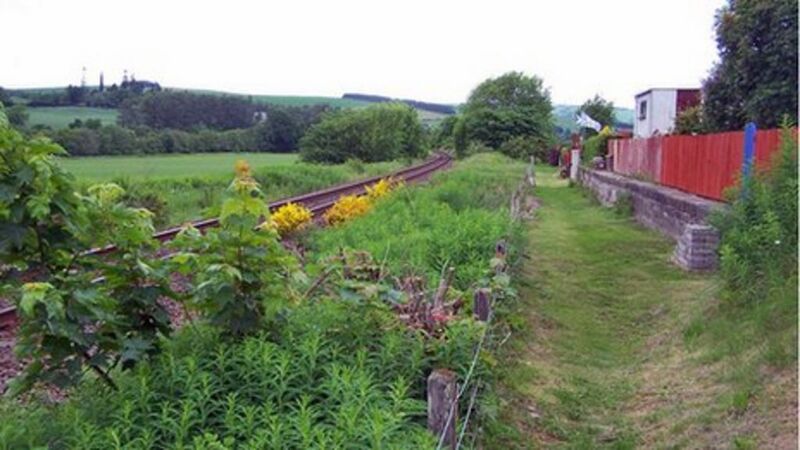 Design work is expected to start soon on a new railway station for Conon Bridge in Ross-shire. The overgrown platform at Conon station (closed June 1960) photographed on 5 February 2011. A new station (to be named Conon Bridge) is proposed for the village, hopefully before 2012, when there are major road works planned for the Kessock Bridge. These are expected to result in significant delays to road traffic, particularly during in the morning and evening peaks. Protracted discussions regarding the cost (�1.6m for a basic platform and shelter) and 'who pays?' have delayed the project. The early morning train for Inverness off the Far North Line crossing the river at Conon Bridge on 23 November 2003 on the way to its next stop at Muir of Ord. Approaching Conon Bridge from Dingwall.